UMIDIGI's One Max is a mid-level phablet that sadly does not maximize anything when it comes to hardware specs -- it runs on MediaTek's Helio P23 dual-cluster eight-core processor, which clocks in at 2GHz + 1.5GHz . 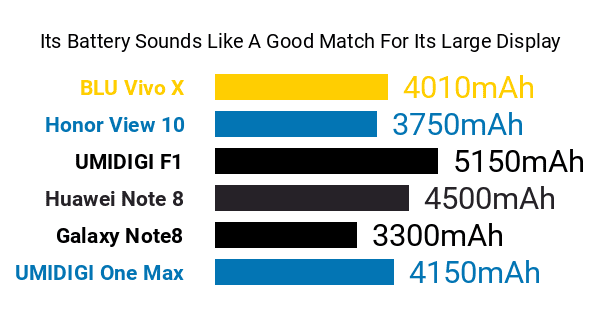 In comparison, some of the best eight-core phones around run on chips that peak at 2.5GHz or higher. 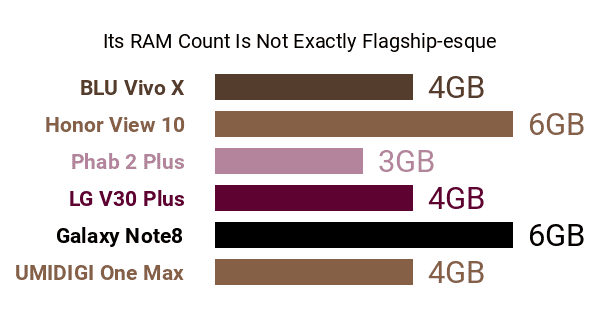 Additionally, its 4GB RAM count might come off as a slight con to some users, given the number of comparable models that reach the 6GB RAM threshold. The highlight of its pros and cons comes in the form of a 6.3-inch In-Cell display with a wide 19:9 aspect ratio and waterdrop notch design , which basically means that it has a much smaller screen notch than some rival phablets, leaving room for a few more pixels. 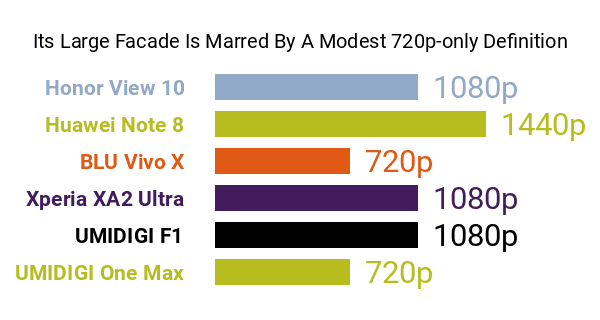 Speaking of pixels, though, its mere 1520 x 720 HD+ resolution and 271ppi pixel density count tarnish its display -- many of its contemporaries boast 1080p definitions and score at least 400ppi. Supporting the UMIDIGI One Max's large screen is a 4150mAh battery that's enabled for both 18W wired fast-charging and 15W wireless charging. The One Max also sounds a bit more generous than some of its competitors in terms of storage, offering a 128GB internal memory that can be expanded by a maximum of 256GB . Another appreciable pro is the One Max's Twilight or Carbon Fiber exterior , with a fingerprint scanner sitting on one of its edges. 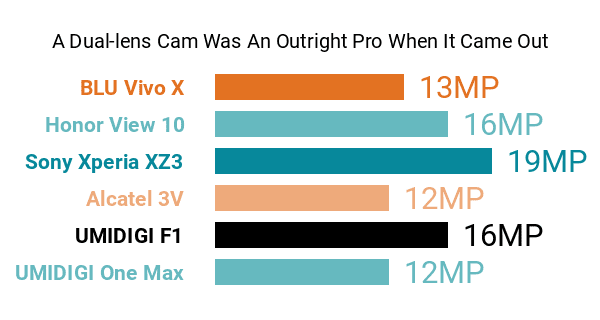 As for its cameras, this 2018 UMIDIGI model banks on a 12- plus 5-megapixel dual-lens rear camera system that's fittingly accompanied by a dual-LED flash, consequently bringing to mind some of the best imaging-driven phones featured here on Phonerated as of this technical review. Up front, it features a 16-megapixel 5P-lens selfie camera that sounds just about right, coming from a 2018 middle-class contender. With NFC, dual 4G VoLTE, and the Android 8.1 Oreo ecosystem rounding out its pros and cons, the One Max has the makings of a decent choice for power- and stamina-cautious phablet shoppers.